Federal justice minister Jan Jambon has said that he would like to see stricter rules concerning tattoos on police officers. “Agents have to be neutral,” he told De Standaard. Jambon said that he wasn’t looking to bar police officers from having tattoos but that they should never be visible to the public. 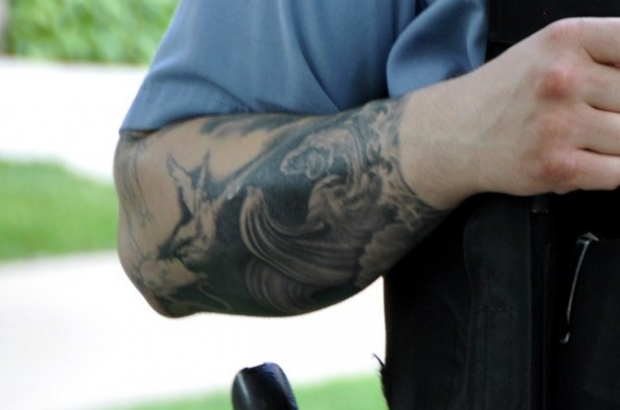 An officer could choose to wear long sleeves, for instance, if the tattoo was on an arm. There is no formal policy regarding tattoos among Belgian police officers, though officers report that in the past they were rejected early in the process by the medical examiner if they had any tattoos. That appears to no longer be the case.